NUR-SULTAN – The virtual and augmented reality laboratory NurLab recently opened in the 73rd lyceum in the Kazakh capital. The lab gives students there the opportunity to interact with augmented or virtual reality content and create multi-dimensional environments for learning. 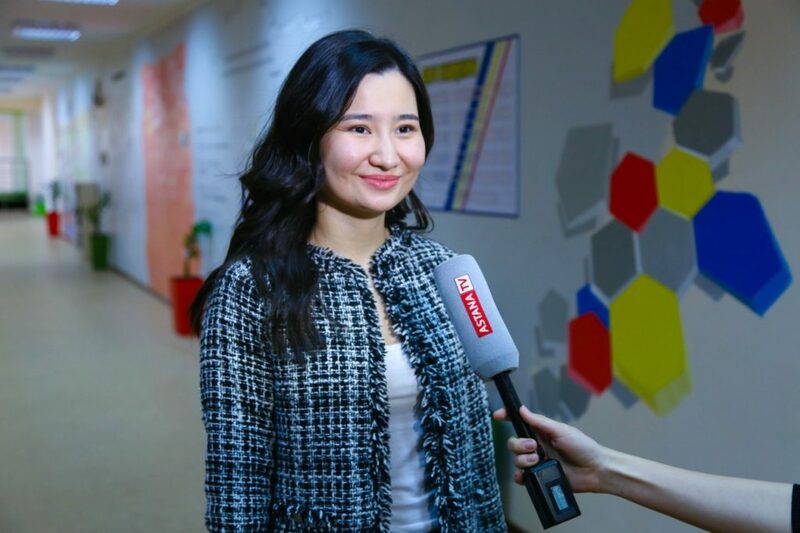 The laboratory is a joint project of Kazakhstan’s STEM Academia and the Bolashak Association. “This project is entirely innovative for us. It is the first such project for Kazakhstan. Augmented and virtual reality classes now exist only in the United States and China. In NurLab, the technology is meant to employ both augmented reality and virtual reality. With these, kids can study, in more detail, STEM, physics, math, chemistry – and this can encourage more interest,” said Bolashak Association Executive Director Laura Demessinova at the presentation. Bolashak Association Executive Director Laura Demessinova. The lab’s equipment includes a Zspace laptop featuring patented 3D screen technology, lightweight glasses and a stylus pen and a ClassVR headset that delivers a fully immersive environment. Class VR content covers nearly 500 areas, including history, nature, geography, physical features, art and culture. The four-kilogramme ZSpace laptop – produced in Sunnyvale, California – comes equipped with specially designed lightweight glasses and a stylus that allows users to pick up items on the screen and locate them in 3D space. It has sensors that track head and hand movements and ensure dynamic updating of perspective. The laptop can also be used as a traditional Windows PC laptop. Kazakhstan is the third country for ZSpace after the United States and China. ZSpace technology is present in 10,000 of the U.S.’ 140,000 schools, and in 2,000 schools across China. “As a company, we have been there for 12 years, the last six years very focused in the United States and China. 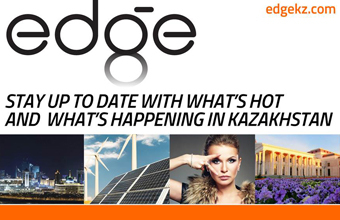 Very focused on K12 [education] and originally focused on STEM, and now we are having broader content than that,” ZSpace CEO Paul Kellenberger told The Astana Times. “Almost every subject [is available], with the exception of language. We started with science, technology, engineering, math. We expanded it to chemistry, physics,” he said. The content goes beyond traditional school curriculum subjects. Among ZSpace applications that are updated regularly are automotive mechanics, 3D design, welding, veterinary studies, virtual ECG, medical imaging scans and unity programming. 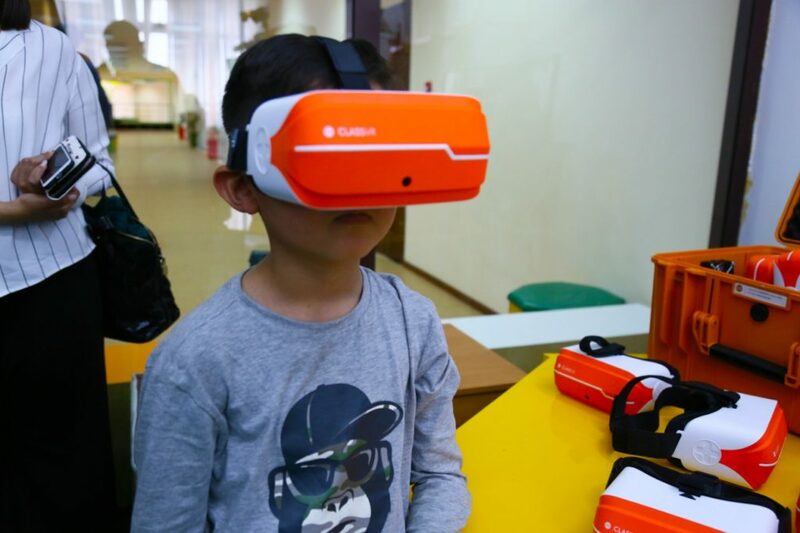 Kazakhstan’s STEM Academia partnered with the company to bring virtual and augmented reality content to Kazakhstan’s classrooms. Encouraging the interest of children in learning is the key value of ZSpace technology. “From the very beginning of the company – I am one of the founders – it was all about creating something that got kids interested in learning and engaged in learning what they otherwise would not be interested in or things that they could not do. For example, chemistry is one of the things where you have some risks with doing it. If you do it virtually, there is no issue whatsoever. The engagement is the biggest part of ZSpace,” Kellenberger said. Research shows academic performance of students using such technology rises between 16 percent to 26 percent, he said. “We did not do the studies: Stanford University did, North Carolina University did. We have data. Kids got engaged in the learning process and got excited about it and they learn by doing, so they remember much better,” he noted. Kellenberger commended the countries taking steps towards embracing new technologies. “It is [at] different levels in different countries. China is the one that is very aggressive in bringing new advanced technologies. The United States, when we first started six years ago, had fallen behind, in STEM, science and math in particular, compared with other countries in the world. People who are willing in embracing new technology are the ones that typically end up doing extremely well. We believe that Kazakhstan has that as well,” he said.